Bradney Pullers. 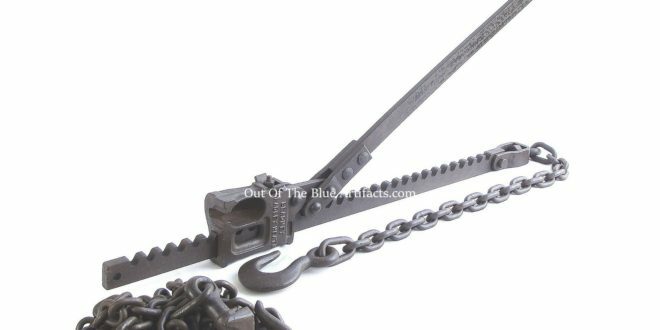 The Bradney Pullers came in 4 parts, the Sword, Box, Handle and Load Pulling Chain. Made from Iron. Size – Handle 3′ feet long. Box 7″ x 5″ x 3″ inches. Sword 3′ feet long. 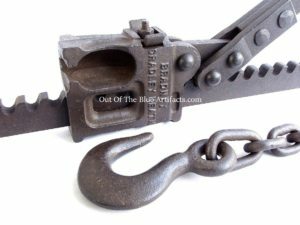 The Bradney Pullers were made by the Bradney Co of Cradley Heath, Birmingham and was made from the same design as the Sylvesters Pullers only with a slightly larger box. The Sylvester’s were invented by Mr Walter Sylvester 1867-1944. 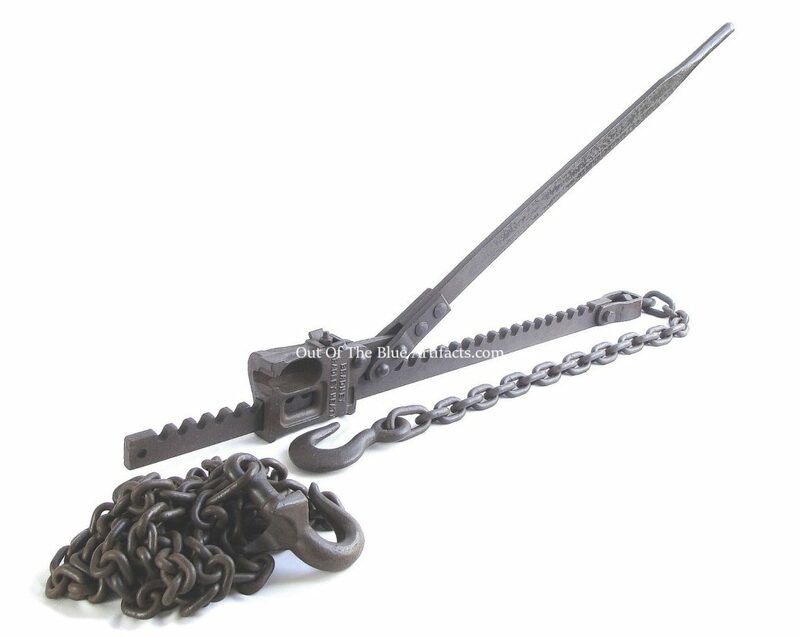 He invented them as a safe way to extract timbers from the coal face, they were used for other purposes such as conveyor belt tensioning, pulling drams back on road, moving machinery etc though they were dangerous to use also heavy to carry around underground. Later an Aluminium set was introduced though Aluminium being light and soft compared to Iron under great tension the Box would strip the teeth off the Sword and cause more accidents. Also Aluminium was seen as a possible cause of explosions in coal mines so the new sets of Sylvester’s wasn’t looked upon very favourably. A few other companies made the same design of pullers.